Rose, a Maryland native, gave her time and energy to caring for her grandmother, and suddenly found herself in need of caring for herself! 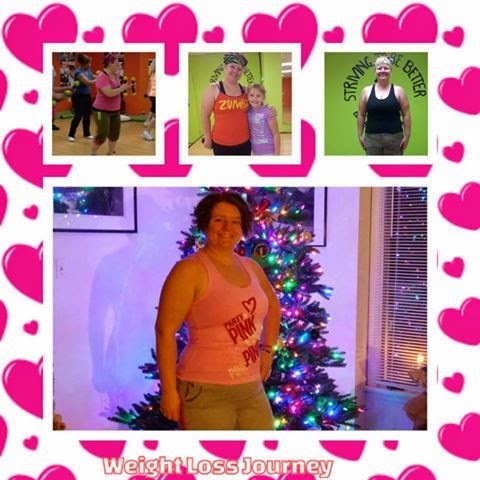 She turned her lifestyle around and found her passion for teaching Zumba! Here's her story. When I was at my unhealthiest, I was caring full time for my grandmother who was diagnosed with Alzheimer's Disease. Zumba changed my life in so many ways but what really stood out was the effect of the music on my grandmother. She was mostly non-mobile ,but whenever I would put on the local Latin radio station she would dance in her chair, sway her arms, and "sing". She loved Shakira and Marc Anthony the most. I knew at that moment I wanted to teach Zumba. My grandmother's decline was very rapid and she succumbed to the disease April 1, 2014. I had originally signed up for Jump Start Gold but had to cancel because it was scheduled just a few days after she passed. Even though I took Zumba classes as much as possible while caring for my grandmother, I was also emotional eating and drinking. I took about a month off from class after she passed away. That is when I saw the photos from a toning class that put my weight into perspective. In the top left picture of myself above, I weighed 217 pounds. I'm committed to taking care of myself, and I've lost over twenty pounds since that photo above. The hardest thing about getting healthy is staying motivated. Once you get that spark to start a healthy lifestyle you go like gangbusters for a few months. Weight comes off fast initially and see a change in your body... but then you reach a plateau. Digging down deep & finding a way past that plateau is very hard to do without a positive team around you (ie: family, friends, coworkers, gym friends, etc.). My advice for others is to find what works for you and only you. There are a ton of diet & exercise programs, one may work for your friend but not for you or vice versa. Don't compare yourself to anyone; there are different body types, metabolisms, ages, heights - that all play a factor in everyone's weight journey. My balance is that I do everything in moderation - eat more lean proteins, fresh veggies, tons of water - but I also do not deprive myself of the treats I like. I also do not feel guilty when I do indulge in treats. It has truly been a blessing to become a Zumba instructor and receive my Group Fitness Certification in the near future.